I’ve been running Design Sprints for a while now. A Design Sprint is a five-day process for answering critical business questions through design, prototyping, and testing ideas with users. 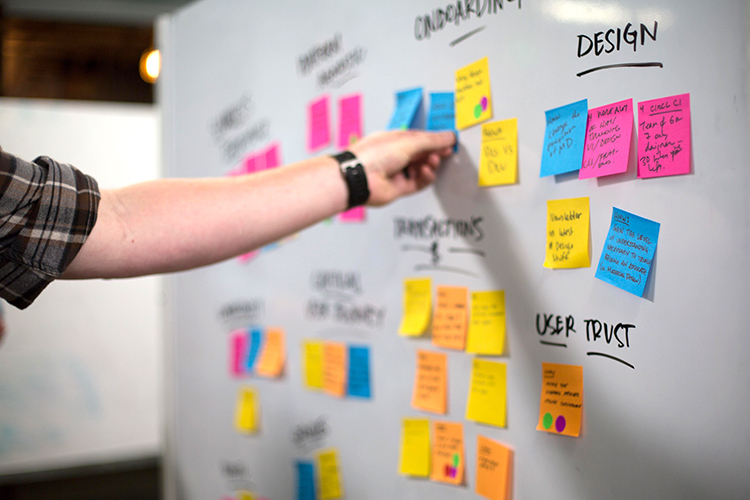 At Google, we use Design Sprints to answer business questions, define product direction, build team culture and help other partners figure out their strategy. There are tons of resources on Design Sprints: The Sprint book by Jake Knapp explains in details what a Design Sprint is and why it is awesome. Google Ventures also has a Design Sprint site and a Sprint kit with all sorts of resources and materials. As a Sprint facilitator, either it’s your first time or 100 times running a Design Sprint, you know it is a hard job, because every Sprint is different. So here are 5 tips I learned from a Sprint facilitators perspective to help you run a successful Design Sprint. 1. The first question to ask: Do you need a Design Sprint at all? Design Sprint became very popular in the past couple of years — almost too popular. In theory, it should work on any problems regarding your business, but realistically, I found Design Sprint most valuable on solving vague or high level problems — especially the fuzzy ones. If you think your problem is too vague/fuzzy/big/complicated, then a Design Sprint is probably the right tool for your team. But when your project is too “sure” or too “solution focused”, you need to ask yourself the question: Do I really need a Design Sprint? For example, if your problem is “How to build a better newsletter for existing customers to increase brand loyalty”, you probably don’t need a Design Sprint since you already know the solution of better brand loyalty is a better newsletter. Just create a project and follow the normal product design process. You can still prototype and test with users, but it probably doesn’t require everyone to drop whatever they are working on for a week to figure out the design. So ask yourself before running a Sprint, is this a big enough problem that really needs a week of time from everyone? or it’s just a project that needs a small workshop or a longer whiteboarding session on. 2. Focus on the “What” and “Who”. As a Sprint facilitator, it is very easy to focus too much on the “How” while planning a Sprint: When is the date? What is the room situation? What are the activities and agenda for each day? Those are questions that are important but not critical. Before getting into the logistics, there are two important things to focus on to ensure the success of a Design Sprint. First, figure out the “What”. After you have a big and vague problem that your team decided to run a Sprint on, the next step is further defining the problem so that it’s concrete and manageable. Instead of a too vague statement like “How to reduce food waste in New York City”. You and the team need to do some pre-work to further define the problem — Who are the users? What’s your product focus/technology/strength? What are the constrains? Believe it or not, your team usually already know a lot about the problem. Someone in the organization probably already done some research or had some ideas. If your team has nothing, then look outside your organization, chances are that there is a competitor somewhere already doing something similar. In addition to the “What”, the “Who” is also key for a successful Sprint. It’s not only who participants in the Sprint that matters, but also who to inform before the Sprint, and who to involve after the Sprint. We saw some of the most amazing Sprint result goto waste because high level management did not know about the Sprint or did not agree on the initial problem it’s solving. The most successful Sprints are Sprints that has the right people throughout the whole process. 3. Always, always do research. A complete Sprint process involves user testing in the last two days. Scheduling is hard and resources are limited. It’s very easy to just do half of a Sprint and fall in love with the ideas your team come up with. A successful Sprint always include research with end users or at least internal people who is not in the Sprint team to validate the ideas. I would even recommend lower the fidelity of your prototype to squeeze in time for research. Testing some sketches on paper is definitely better than having a polished interactive prototype that haven’t been validated by anyone. You always learn something from user research, so you should always, always include research in your Sprint process. Sprint facilitator is a hard job. Another advice to better facilitate is find a partner: to bounce off ideas, help facilitate and bridge the gap of knowledge. If you don’t personally work with the team who participants in the Sprint, then find a partner in the team who understand the problem space; If you are too familiar with the team or problem, then find a partner to help bring the team back to focus while rat holing, or simply do time management if you are uncomfortable doing so. 5. Don’t focus too much on the result. The outcome of a Design Sprint is not an end result, but rather a starting point. The goal of a Design Sprint is not to end up with a perfect solution after just one week, but to get feedback on one or two possible solutions. What we usually see is that the direction is so big (because your problem is big), you need to further split your solutions into chewable chucks to for prioritization and phasing. So don’t focus too much on building exactly what you come up with in the Sprint, the result of a successful Design Sprint is better understanding of the problem, better alignment within the team and feedback on potential solutions you can further research and design on. One last thing, remember to have fun! Decorate the room. Decorate the Sprint room with posters of your users, sample screens of your product, photos from field studies, etc. Bring treats. We always bring in some sweet stuff(e.g. donuts, candy) on day 2 for brainstorming fuel. Organize a fun event. It doesn’t have to be fancy, a simple team dinner in day 3 or a happy hour at the end of the Sprint will help people feel more connected with each other. Have fun and hope these tips help you with you next Design Sprint!